Although TV distribution has undergone a massive increase in volume and value over the past fifty years, there is a systematic lack of both curiosity and knowledge on the part of both industry and scholars about this area. 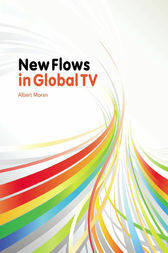 This book assists in the filling of this gap by studying what, in fact, occurs in global trade in TV program formats within international markets such as Cannes, Las Vegas and Singapore. The study investigates key components of this trade, thereby elucidating the crucial dynamics at work in the most significant contemporary transnational cultural industry.